“My Lord and I” is a very beautiful sentiment, but before we know it as a living experience we have to fight our way through all the contradicting things to the un-afraid, simple life that trusts in God. Most of us have an attitude that says, “As soon as I understand, I will fully believe.” But Oswald Chambers points out that the Scriptures teach that we are to be fully obedient to what has already been revealed to us in order to receive more revelation. A loving God would not reveal things to us that we are not yet ready to obey. So if you want God to show you deeper things, obey what He’s already shown you. …if you will receive My words… (Proverbs 2:1). Some people find this hard to fathom, but it’s an undeniable truth—God wants to bless you! But His blessings will only come in His ways. You cannot do what you want to do and expect God to bless that behavior. 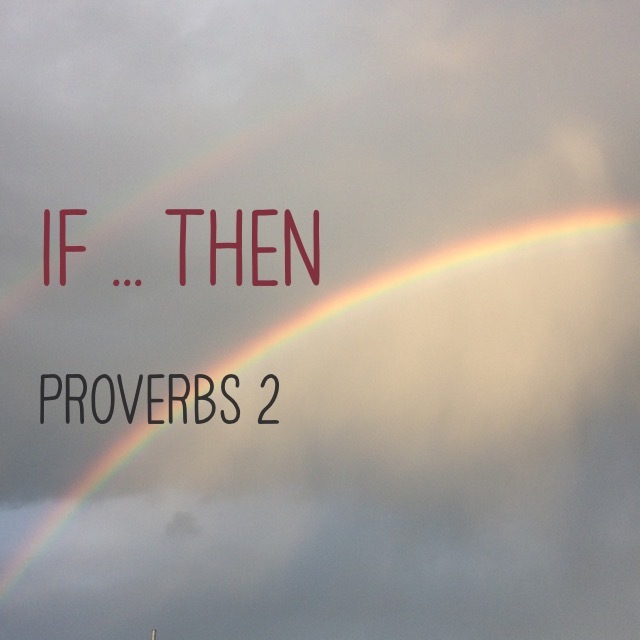 Proverbs 2 tells us that IF we will do what God asks, THEN God will pour out His blessings. If I will do what God says, then God opens His storehouse of invaluable treasures! Enemy’s tactic #1—Get Nehemiah preoccupied with attending meaningless meetings. Enemy’s tactic #2—Send out letters slandering Nehemiah. Enemy’s tactic #3—Try to scare Nehemiah into running away. Nehemiah had a vision from God and he stayed focused on that. 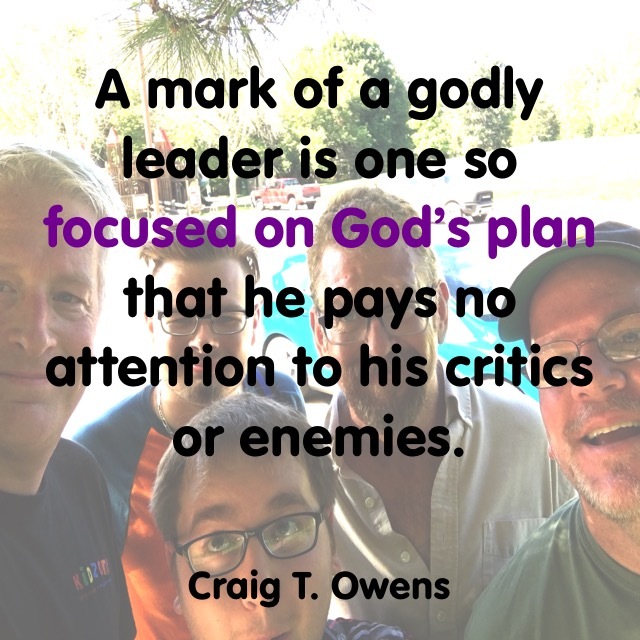 A mark of a godly leader is one so focused on God’s plan that he pays no attention to his critics or enemies. This is Part 7 in my series on godly leadership. To read my other posts, please click here. When the Israelites were delivered from Egypt on the night of Passover, fifty days later they arrived at Mount Sinai where God delivered the Ten Commandments to them. This became the birth of the Jewish nation. 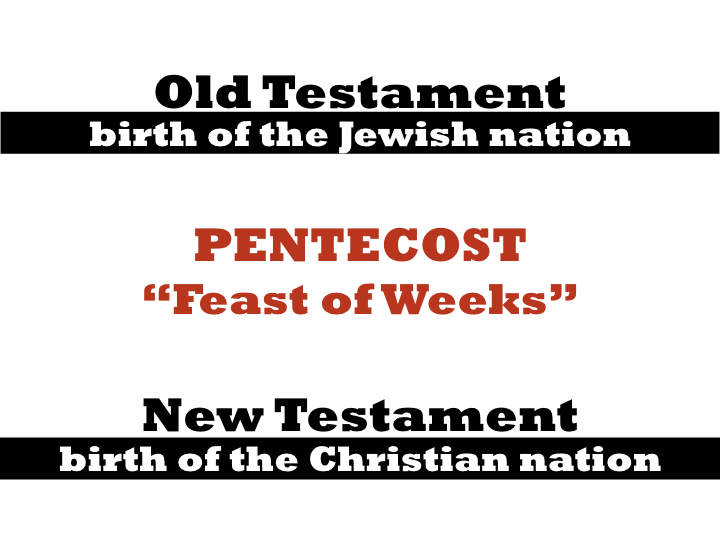 For millennia following this, not only did the Jewish people observe Passover but they also celebrated “The Feast of Weeks” (also known as Pentecost) fifty days following Passover. But on the first Pentecost after Christ ascended to Heaven, something amazing happened which was a game-changer for the new Christians. An event which became the birth of the Christian nation. On that Pentecost Sunday, the Holy Spirit was poured out on Christ’s followers in a way never before seen in history. Although this had never been seen before, it was the fulfillment of something God had promised thousands of years before. This blessing of the Holy Spirit had been hinted at when God first called Abraham, as He promised that from Abraham would come a blessing for all peoples on earth (Genesis 12:3). Jesus said that this blessing would be realized with the outpouring of the Holy Spirit, and then Peter tied the Day of Pentecost experience to the fulfillment of those promises (Acts 2:38-39). Jesus had this empowerment of the Holy Spirit and He wanted all of His followers to have it too, so His directive to His follower is not a suggestion. Twice when Jesus tells His followers to receive the baptism in the Holy Spirit, the verbs He uses are commands (see Luke 24:49 and Acts 1:4). The baptism in the Holy Spirit is accompanied by an initial physical evidence of speaking in a language you’ve never studied. This is to be an unmistakable proof—primarily to you—of the Spirit’s outpouring. But the ongoing development of Christlike character is the continual evidence of the baptism in the Holy Spirit. So what’s the controversy? Why do people spend so much time arguing this baptism isn’t for us, or for now? If we start down that path, what else are we going to say is outdated or exclusive for some? Doesn’t seem much more logical to simply accept what God promised all His people?! So here’s the question I would ask you—Have you been baptized in the Holy Spirit? If not, why not? The entire 119th Psalm is a love song to God for His amazing Word. 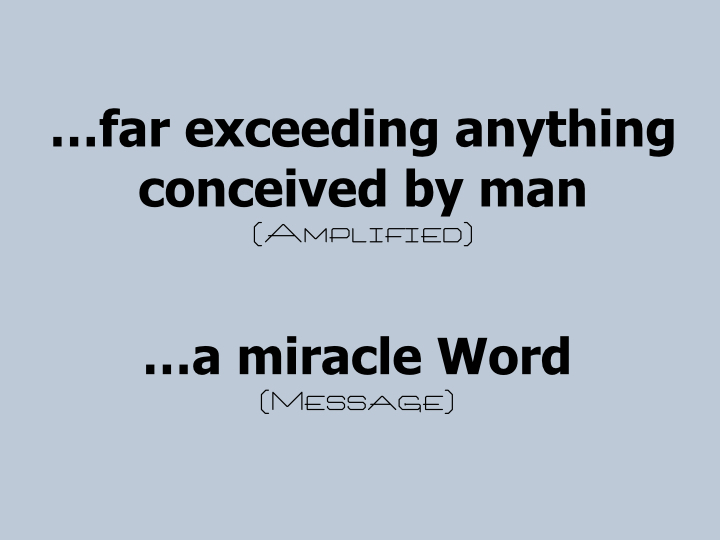 Quite simply it is “far exceeding anything conceived by man” (v. 129, AMP) and “a miracle Word” (v. 129, MSG). Light … this is the discernment that allows for the “Aha!” revelations of the Holy Spirit. 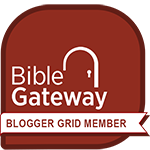 Understanding … the blessing of comprehending what God is saying to us. Longings fulfilled … nothing but God’s Word will ever satisfy like God’s Word! More clearly seeing God’s face as He shines upon us. A greater understanding of God’s love. Secure paths that keep us from sin’s snares. Freedom from satan’s extortions … this is literally what the phrase redeem me from the oppression means in verse 134. Learning God’s Word so that I can teach it to others. The psalmist also gives us good insight into how to respond to those who reject God’s Word: “Rivers of tears gush from my eyes because people disobey Your instructions” (v. 136). With all the blessings that come from obeying God’s wonderful law, why would you ever want to try to live any other way?! I will be continuing our series on Psalm 119 this Sunday. If you are in the area, I would love to have you join us! There are several people in the Bible that are called “a counselor.” But there is only One Who is called “the Counselor.” This is the title Jesus gave to the Holy Spirit, when He said One was coming Who would be of invaluable help to us. This Sunday is Pentecost Sunday. On that first Pentecost after Christ’s ascension, something amazing happened to the followers of Jesus—they were baptized in the Holy Spirit. The Counselor saturated their lives with His wisdom. From this moment the Christians operated in extraordinary wisdom, power, discernment, boldness, and effectiveness. This type of growth was only possible because of the counsel The Counselor imparted every day to these new Christians. And this same counsel and help and empowerment is available to all Christians today! 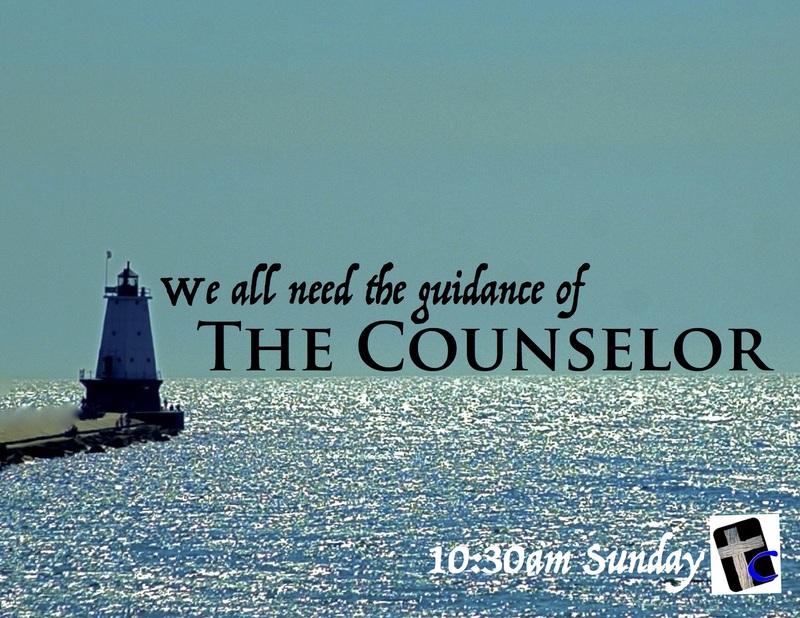 This Sunday at Calvary Assembly of God we begin a new series called “The Counselor.” If you are in the Cedar Springs area and don’t have a home church, I invite you to come join us to learn more about this power that is for you. This is a periodic series with things I’m reading and pondering from Oswald Chambers. You can read the original seed thought here, or type “Thursdays With Oswald” in the search box to read more entries. If I cannot see God in others, it is because He is not in me. If I get on my moral high horse and say it is they who are wrong, I become that last of all spiritual iniquities, a suspicious person, a spiritual devil dressed up as a Christian. Beware of mistaking suspicion for discernment, it is the biggest misunderstanding that ever twisted Christian humility into Pharisaism. When I see in others things that are not of God, it is because the Spirit of God has revealed to me my own meanness[*] and badness; when I am put right with God on the basis of His Redemption and see those things in others, it is in order that God may restore them through my intercession. [*] meanness as used here: something or someone ordinary, common, low, or ignoble, rather than cruel or spiteful. 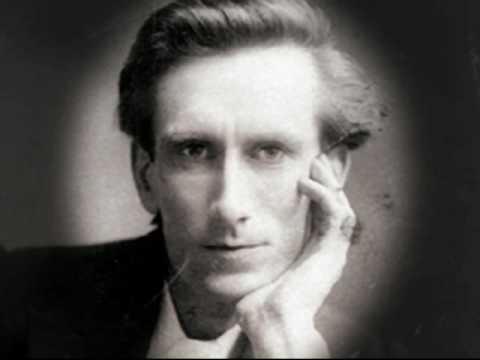 As Oswald Chambers points out, the only reason God would ever show me something out of place in someone else, is so that I may intercede in prayer for them. If that revelation causes me to talk about them, instead of talking to God about them, then I have become a Pharisee.